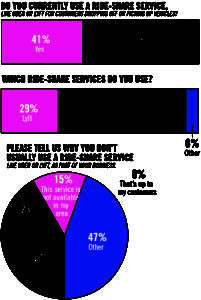 Special Report: Ride-sharing survey results - AutoInc. 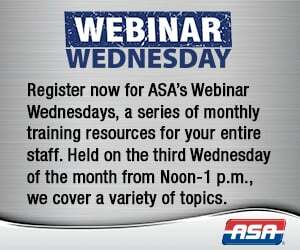 Customer convenience, cost and efficiency cited as reasons ASA-member shops are using services such as Uber and Lyft. 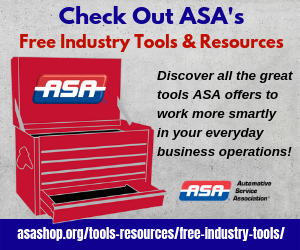 Ride-sharing services, like Uber and Lyft, are becoming increasingly popular with ASA shop owners who offer customers rides to and/or from the shop while their vehicles are being serviced. 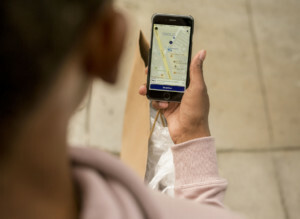 A recent ASA survey showed that 41 percent of shop owners use ride sharing to transport customers and that 58 percent of non-ride-sharing shop owners would promote it if it could be offered economically. Many shop owners see ride sharing as a viable alternative to an in-house ride service because it is more cost-effective and efficient. Javier’s shop serves customers throughout the sprawling Tucson area, so he feels ride sharing allows him to keep his 11-person staff focused on their shop duties instead of having to leave the shop for an hour or more. Dave Roman, owner of Done With Care Auto Repair in Shawnee, Kan., combines in-house loaners and ride-sharing in his four-person shop. He has used ride sharing for about a year and is pleased with how it fits into his overall operation. “I’m always faced with ‘How do I get customers in the door?’ So if I have to offer a ride service to do that, it makes sense. We use it to bridge the gap between providing good customer service and having someone leave their job to drive or pick up a customer,” he added. Editor’s Note: Figures in pie charts don’t equal 100 percent because some respondents answered in more than one category.